And neither is Donald Trump. What does Donald Trump’s hair have in common with coal mines? Both, according to Trump, are over-regulated. “You know you’re not allowed to use hair spray anymore because it affects the ozone. You know that, right?” he asked a room full of miners last week during a rally in Charleston, West Virginia. “Today you put the hairspray on, it’s good for twelve minutes…. It’s like a lot of the rules and regulations you folks have in the mines for safety and stuff.” This is the promise of a Trump presidency: that America will have a hundred bazillion coal-mining jobs and perfect hair. Trump is expected to walk away with West Virginia’s primary on Tuesday night, having never been compelled to explain exactly how he’ll revive Appalachia’s coal communities. That’s a conversation that Hillary Clinton and Bernie Sanders have been trying to advance on the Democratic side, but it’s been derailed by a single sentence Clinton uttered at an Ohio town-hall meeting way back in March. “We’re going to put a lot of coal miners and coal companies out of business,” she said, in the context of a question about her economic policies. She said a lot of other things, too, including that she did not “want to forget those people” who “labored in those mines for generations, losing their health, often losing their lives to turn on our lights and power our factories.” She mentioned her $30 billion plan to help coal communities transition to a cleaner economy. Not surprisingly, the right took her unfortunate sound bite out of context and held it up as further proof that Democrats are allied in an intentional “war on coal,” and that Clinton, in particular, has it in for the industry. In an attempt to “clarify” her comment, Clinton sent a letter to West Virginia Senator Joe Manchin in which she explained that she was referring to job losses as a result of the long-term decline of the coal industry, not her own policies. Regardless, “coal will be a part of the energy mix for years to come,” she asserted. The clarification made little difference in West Virginia, where Clinton has been greeted with hostility and trails Bernie Sanders—who has his own a $41 billion plan to revitalize coalfield communities—in the polls. One conservative candidate for a West Virginia Supreme Court seat is even using Clinton’s “misstatement” in a campaign ad. It’s notable that Sanders and Clinton have advanced this difficult discussion, as Democrats have their own ugly history of pandering to the coal industry. The leading Democratic candidate for governor in West Virginia right now happens to be a billionaire coal boss who thinks climate science might be “just smoke and mirrors,” and made a Trump-style promise that under his administration the state will mine more coal “than has ever been mined before.” Clinton herself ran as a pro-coal candidate against Barack Obama in 2008, and accordingly beat him handily in West Virginia and other coal states. Her assertion, in the recent letter to Senator Manchin, that “coal will be a part of the energy mix for years to come,” still contains a trace of the irresponsible, magical thinking about coal that is ubiquitous in the GOP. The reason Republicans made so much noise about Clinton’s supposed plot to kill coal is that they need a diversion to keep people from noticing they have no real plans of their own either to revive the industry or to help communities transition. Republicans in Congress won’t allow President Obama’s aid package for coal communities to receive a vote, and even bipartisan proposals are stuck. 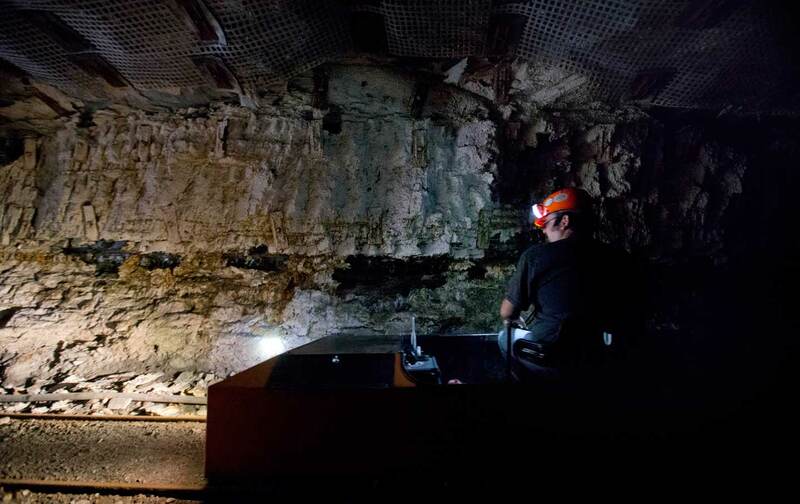 In December, Senate majority leader Mitch McConnell stripped a provision out of a budget bill that would have shored up health and pension funds for retired members of the United Mine Workers of America. Meanwhile, coal companies are cleverly offloading their responsibilities to their elderly workers through bankruptcy processes. All told, tens of thousands of retired miners and their families could have their benefits cut if nothing is done. That crisis can’t be fixed simply by gutting the EPA. And let’s be honest: Better hairspray probably isn’t going to fix Trump’s hair.